Majority of staff told by bosses they will be paid off immediately with a few to remain while new owners sought. 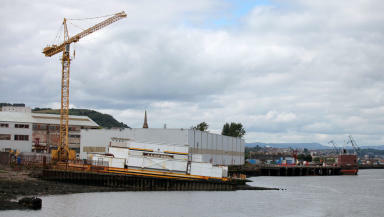 The last remaining shipyard on the lower Clyde faces closure and the loss of 80 jobs after bosses called in receivers. Up to 80 jobs are under threat at the Ferguson shipyard in Port Glasgow after it was revealed it has gone into receivership. Staff at the shipyard were given the news by management on Friday morning after being called into a meeting. The majority of staff were informed by bosses that they will be paid off almost immediately with just a few to remain while new owners are sought. They are now in talks with their union over the news. Jim Mohan, chairman of the Confederation of Shipbuilding & Engineering Unions and GMB Scotland senior organiser, told STV News: "After 30 or 40 years of service at Ferguson shipyard staff have been told to take their tools and leave. "It was as blunt as that. They were taken into a meeting this morning and told, with no prior warning or consultation. It's a disgrace." John McMunagle, a welder steward at the shipyard, told Radio Clyde: "I'm disappointed, shocked, betrayed and I feel sorry for my fellow workers who put a lot of time and effort in here and ended up in tears this morning." Mr McMunagle said there was a "stunned silence" when workers were told they would be made redundant. Blair Nimmo and Tony Friar of KPMG, who were appointed joint administrators, said they had no option other than to make 70 employees redundant with immediate effect. Blair Nimmo said: "Ferguson Shipbuilders is a leading name in the industry with a rich heritage dating back more than 110 years and is the last commercial shipbuilder operating on the River Clyde. "The Group’s infrastructure and unique offering has earned it global success in recent years, principally from the building of two “world first” diesel hybrid ferries. "However, a lack of significant orders and mounting cash flow pressure has led to the Group’s inability to continue trading. "We would like to thank staff for their co-operation during this difficult period. We will be working with employees and the relevant Government agencies to ensure that the full range of support is available to all those affected. "We would encourage any party who has an interest in acquiring the Group’s business and facilities to contact us as soon as possible." 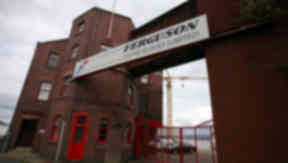 Ferguson shipyard in Port Glasgow has been operation since 1903. It is a family run firm and has been building ships on the Clyde for over 100 years. Finance secretary John Swinney said: "The loss of any jobs in Port Glasgow is a devastating blow and we will work closely with the administrator to deliver an integrated service to those losing their jobs. "We will also convene a task force which will aim to secure new opportunities for this commercial shipyard on the Clyde. I have spoken to the leader of [Inverclyde] council and we have agreed to work together on the task force to secure these opportunities. I will visit Port Glasgow on Monday to start this process." He added: "The yard facilities, along with the expertise and experience of the workforce, are significant assets. The Scottish Government and partners have a strong track record of engagement in the local area to secure employment. "Over the past two and a half years we have supported Ferguson Shipbuilders with contracts worth more than £20 million for two new hybrid ferries. We will do everything we can to promote a strong future for commercial shipbuilding on the Clyde and remain hopeful that a new owner can be found to continue the proud tradition and innovative engineering of Ferguson Shipbuilders." 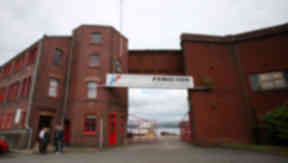 Scottish Labour leader Johann Lamont said: "I believe we can still save this shipyard and every avenue must be explored. "We stand ready to work with the Scottish Government and do all we can to prevent job losses as a matter of priority."